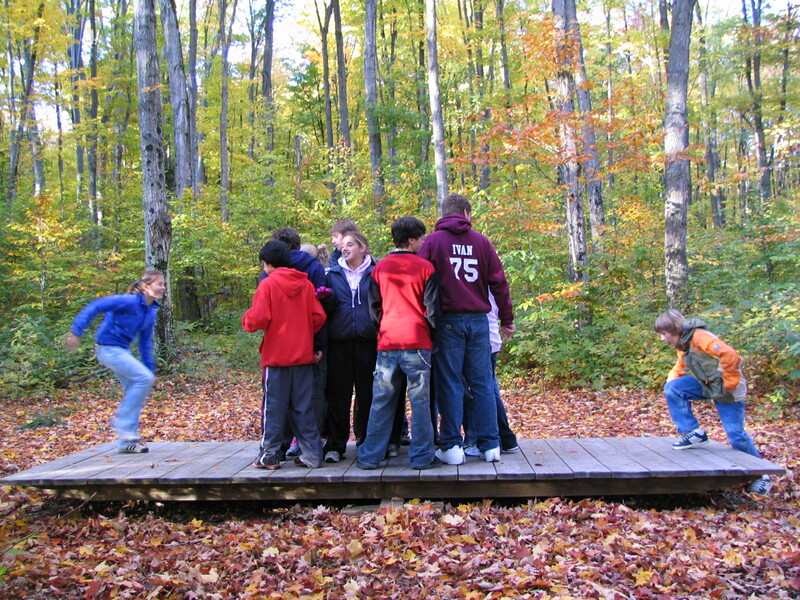 A challenge course program at the Camp Daggett Adventure Center promotes feelings of acceptance, self-worth and a sense of community not often experienced in our every day living. It is our hope that participants will leave their experience at the CDAC with a greater willingness to: accept the opinions and ideas of others, share their own, better appreciate the value that all people have to offer and be more willing to participate in peaceful solutions to problem solving. Please download our CDAC Brochure for a compiled look at all that the CDAC has to offer. 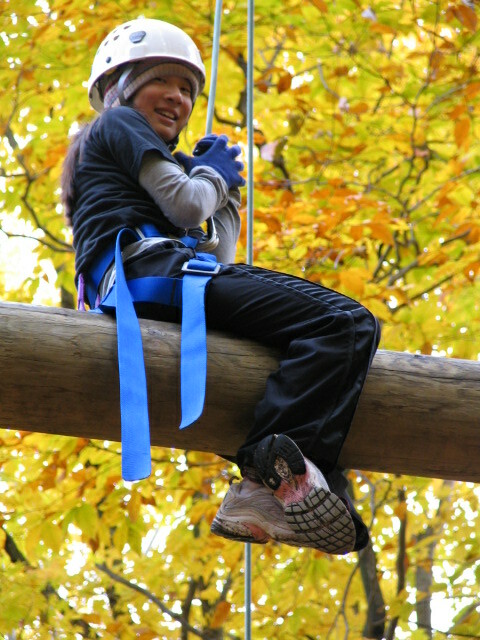 After lunch we will be heading to our high ropes course which allows individuals to confront the limits of their comfort zone and safely move beyond those limits with the mutual support and encouragement of the rest of the group. Please download the CDAC Checklist/Information Packet for a necessary “To-Do” list before your visit, directions to Camp and a copy of the Full Value Agreement. We have scholarships and Instructor Discounts for student groups who qualify. 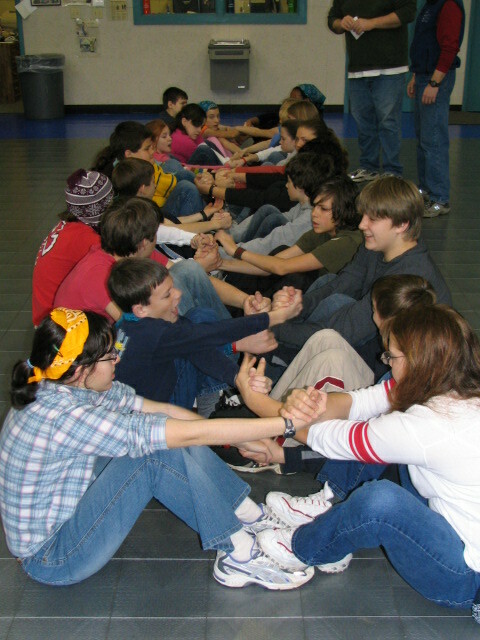 A school group is allowed one instructor discount per 15 participants. 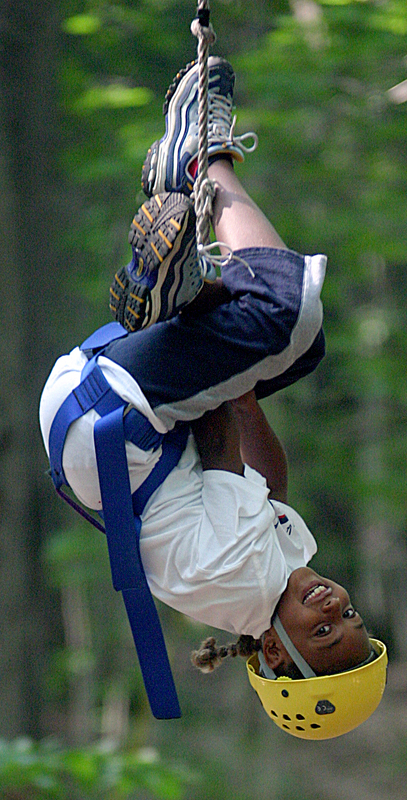 Instructors must have completed a Camp Daggett belay training, updated within a 6 months time frame prior to their visit, and demonstrated appropriate competency and proficiency of belay skills. Groups may bring more instructors; however, only 1 discount per 15 is deducted from final payment.